Looking to do some spring cleaning on your Android device? Want to erase your internet history, delete text messages, remove call history, and clear you market search history? Well then this lesson is for you! Whether you are selling your smartphone, giving it away to a friend, throwing it in the trash, or simply trying to clean up your Droid… It’s always a good idea to clean up your Android devices every now and again. 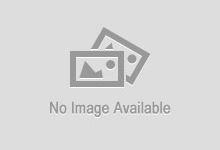 Just like on a regular computer, a lot of junk is dumped onto the phone when browsing websites (temporary internet files, cookies, etc). Clearing out the Internet Browser History and Cache gets rid of all that data and is considered to be a good maintenance procedure to ensure that your Android phone continues to run smoothly. 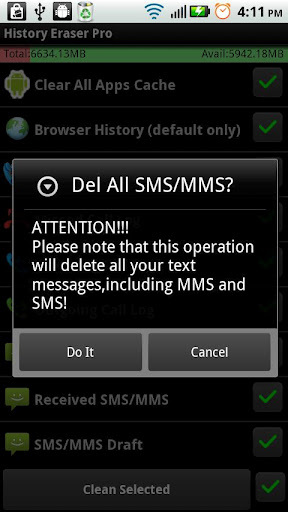 Check out the instructions below for a simple and easy way to delete the history files and cleanup your smartphone. This app can erase all the history data on your Android device, cleanup your phone, delete your search history, delete internet web history,remove your call log, clear all apps’ cache files, delete sms text messages, clean your clipboard, clear frequently called, and erase market search history. You’ll also find that cleaning up and removing all this junk will also free up memory and the valuable storage space on your Droid. 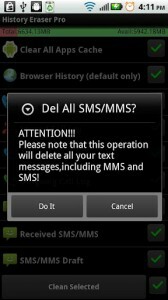 WARNING: Don’t accidently select SMS/MMS if you don’t want to erase your Text Messaging History! The best part of “History Eraser” is the simple to use interface. It is literally just a few clicks and you are done. 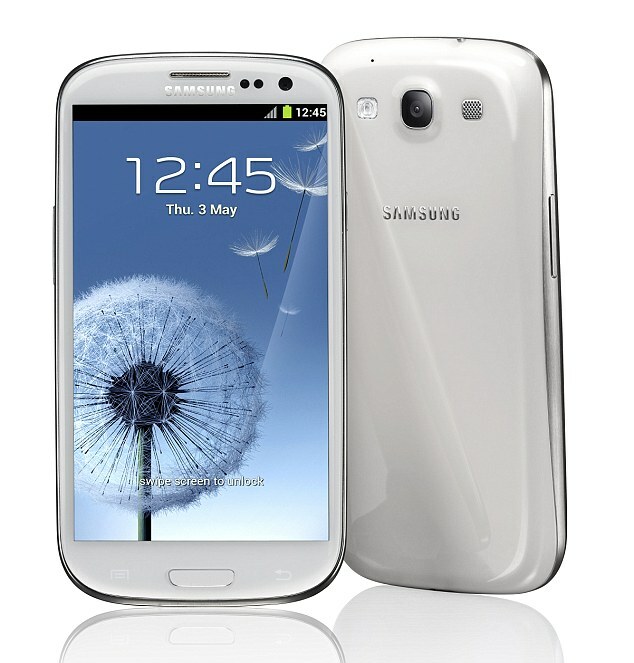 Try it out the next time your looking to clean the history off of your Android device. Whether it be due to security, privacy, or maintenance reasons. Leave us a comment below and let us know what you think! I have managed to store two email addresses on my phone call register. No matter what I do I cannot erase them. I have deleted the contacts but still the two email address remain. How can I delete them? 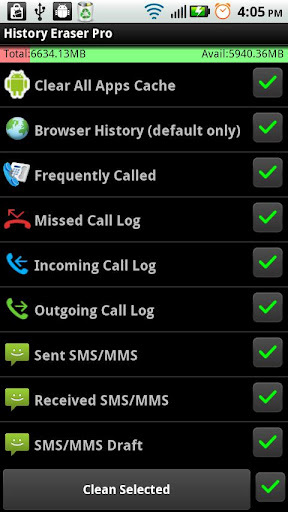 Deleting the app storage for the Dialer app (which will delete the whole calling log) probably works. I don’t know what phone you have, but go into Settings>Apps, look for the app that you make calls with (probably named Phone, or Caller, or Dialer), tap over it, then “Storage” and “Clear Data”. These steps might be different depending on your version of Android but it shouldn’t be too much different. Thank you for your response. I have a Galaxy Note 4 but I was unable to find the app for the calls that you mentioned. Can you guide me further on this please? Leave a Reply to J Byrne Click here to cancel reply.